I've never given much thought to my comedic tastes. Call me slow but it only occurred to me recently that many of the humorous radio and television shows I matured with share a common theme: the art of improvisation. My funny bone has been shaped by shows such as Just A Minute, Call My Bluff and I'm Sorry I Haven't A Clue. 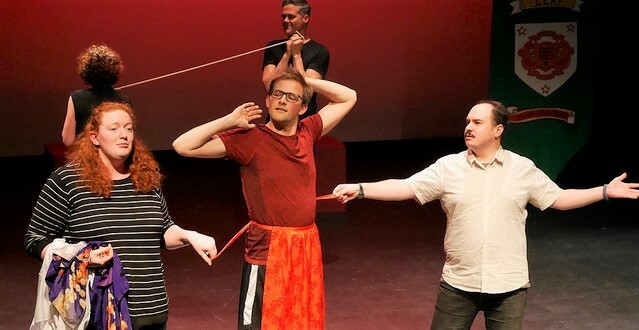 I was especially partial to Whose Line Is It Anyway, its format inspired by Theatresports which, in turn, owes its existence to the playwright/actor/director Keith Johnstone, and his ideas on experimental, spontaneous theatre. So what is Theatresports? 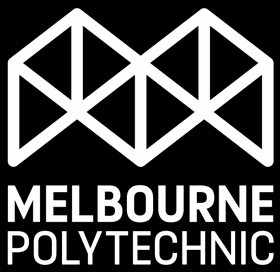 Not having experienced one of Impro Melbourne's shows before the other night I wasn't sure what to expect but, as a WLIIA fan, I guessed the format would be similar: improvised dialogue and comedic theatrics undertaken by performers with an unusual penchant for risk-taking and an unfortunate predilection for self-abasement, perhaps? The appeal of WLIIA (the British version at least) was down to the chemistry between the actor-comedians and the energy and wit they radiated. No one performer dominated the show and all were allowed to play to their strengths. You never knew what to expect, except that there would be stuff-ups and stumbles in each show, but also moments of inventive, inspired brilliance. This too is the essence of Theatresports. 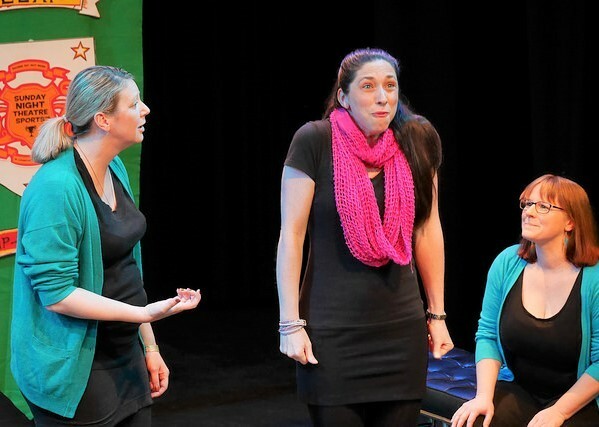 In Theatresports, when a performer falters and gropes for words, it's not awkward, it's expected. 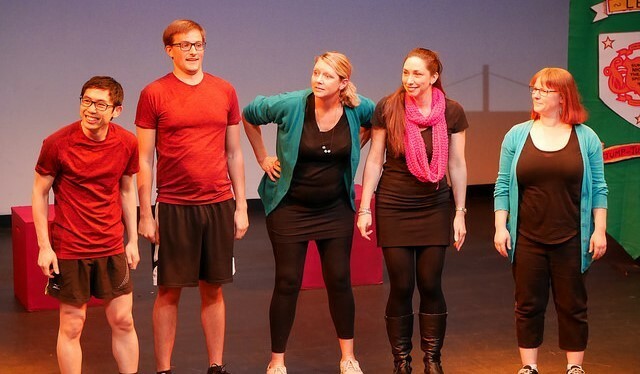 It takes confidence and teamwork to pull off improvised theatre, and the audience knows it. They are well aware of the work that goes into producing performers' triumphs, those moments when the right words and actions are deftly delivered at with precise, superb timing. The knowledge that the entertainment is unscripted and unrehearsed gives everyone permission to enjoy the whole show, complete with all of its comic hits and misses. It's thrilling theatre which is wondrous to witness: you can't help but admire the collective talent of its dynamic creators. There's no time to snooze in this show: it's fast-paced all the way. 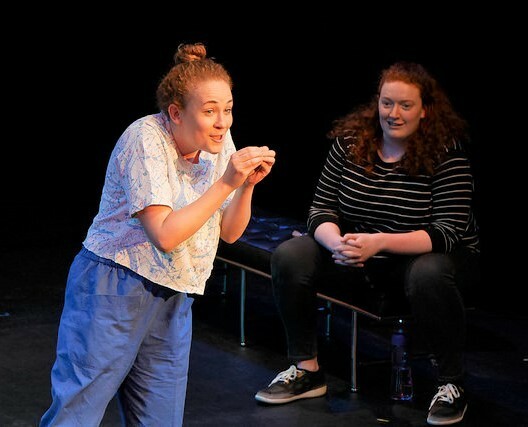 The two rounds of the first part of the show, together with the improvisation demonstration - directed by Katherine Weaver - engage the audience whilst showcasing the skill that goes into producing this type of theatre. 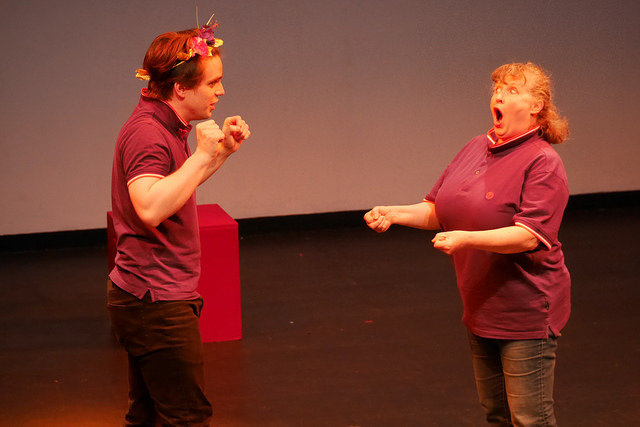 It's effectively a warm-up for the second half of the show, when two teams of players challenge each other to a succession of improvisation games, the adjudged winners progressing through to the next round. The format of the show blurs the line between performers and audience. We're encouraged to boo the three silent "judges" as they enter the stage (dressed in headmaster gowns) at the start of each round; to applaud the production crew (let's hear it for the scenographers, or the lesser-spotted snoggers); and to score both individual performances and teams of players. 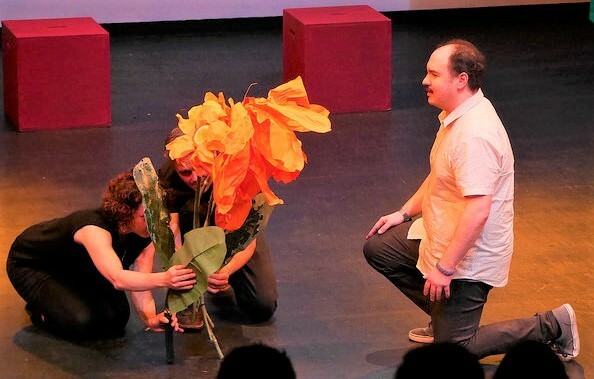 The audience is invited to come up with themes (emotions, locations, activities, objects) which form the basis of the next improvised sketch or game, or to contribute words which are woven into ongoing dialogue. By the conclusion, the audience are no longer merely spectators: they have become participants in the show, invested in every team challenge. When improvisational comedy is this good it's easy to forget how much sweat and tears (no blood, I hope) goes into creating it. Our bemused seventeen-year old found it hard to understand why not all of the contests/scenarios finished in a comic punchline, but the song improvisers won his admiration ("that would be really hard"). His fifteen-year old brother was impressed by the whole show and found nothing wanting. I sneaked peeks at Son Number Two during the performance and a big grin never left his face. Later, he confided that he'd wished he'd been being brave enough to raise his hand when the cast invited a young volunteer from the audience to join them in a sketch on stage ("I didn't know it was going to be fun...!"). In these screen-fixated times, it's rare to find an alternative, accessible activity which appeals to the whole family. Add to the mix an evening's entertainment that champions qualities such as resourcefulness, teamwork, generosity and pluck, served up with a healthy dose of wholesome humour, and you have a winning formula for a fun, family experience. The name of the game is Theatresports.